This beautiful Indian Land home is an entertainers dream! Main living level features an open floor plan with office, dining room, great room and spacious kitchen that is sure to be the envy of the neighborhood! Step outside onto the paver patio where you can enjoy the built-in grill with stunning outdoor fireplace, all within the fenced yard. Head upstairs and you will find 5 bedrooms, 3 full baths, laundry room and loft. Neighborhood amenities include pool, clubhouse, fitness center, playground, dog park, pond and walking trails. 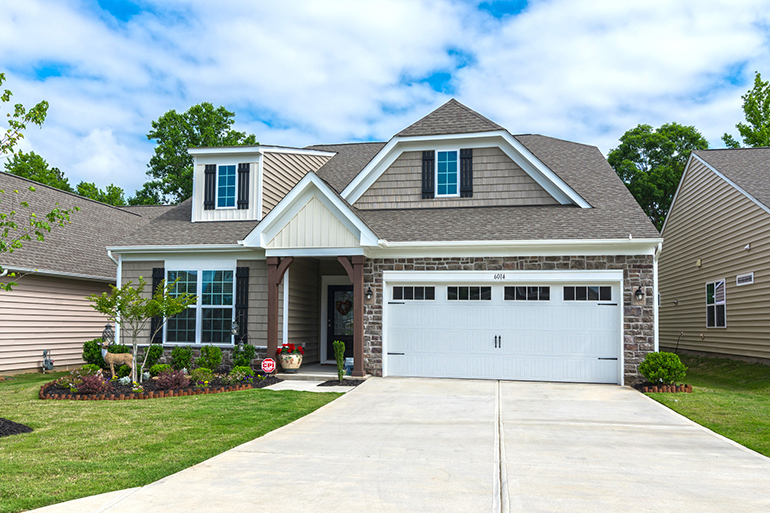 Carolina Reserve showcases beautiful single family homes nestled in the heart of Indian Land, SC. Minutes away from shopping and just four miles south of the NC border, enjoy all the Carolinas have to offer. 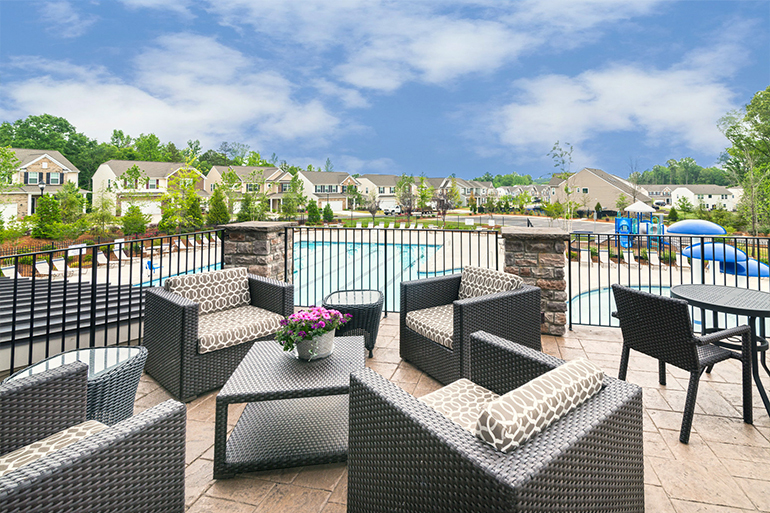 Carolina Reserve provides affordable suburban living without sacrificing amenities or the active adult lifestyle. This active adult community is located close to the Anne Springs Close Greenway and Lancaster’s Andrew Jackson State Park. The prime location enables homeowners to have quick access to outdoor activities such as hiking, fishing, biking, and much more. 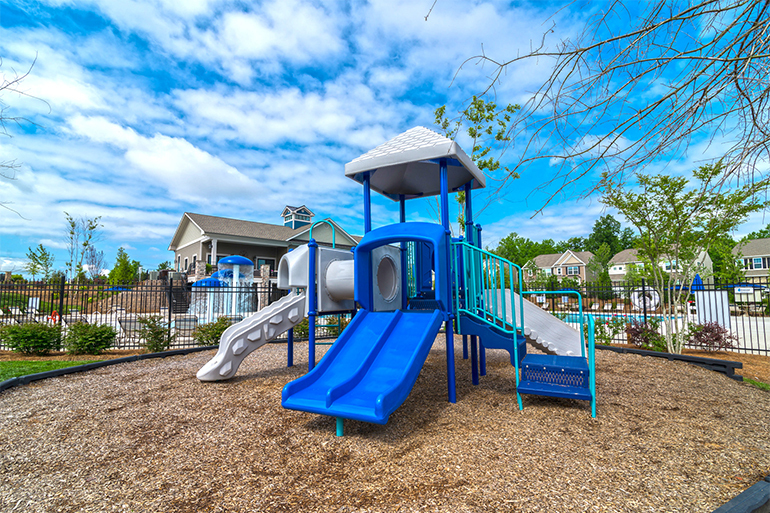 Inside the community you will find a clubhouse with workout facility, pool, and playground. 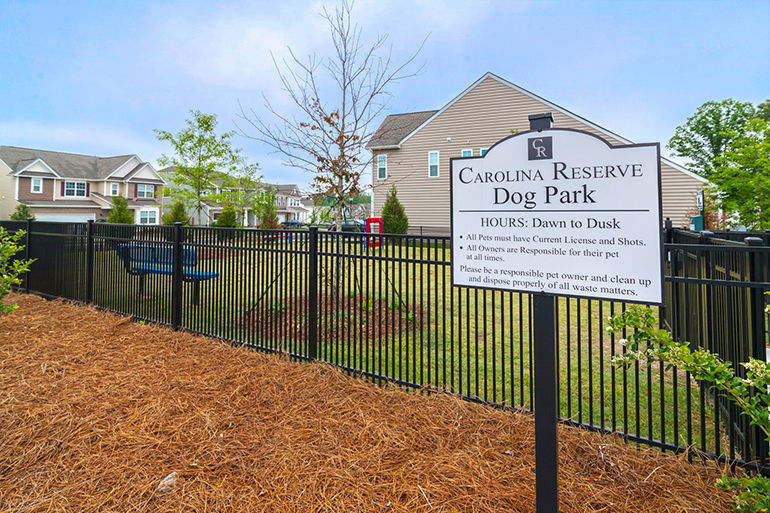 Carolina Reserve features two unique product lines starting in the low $200,000s. 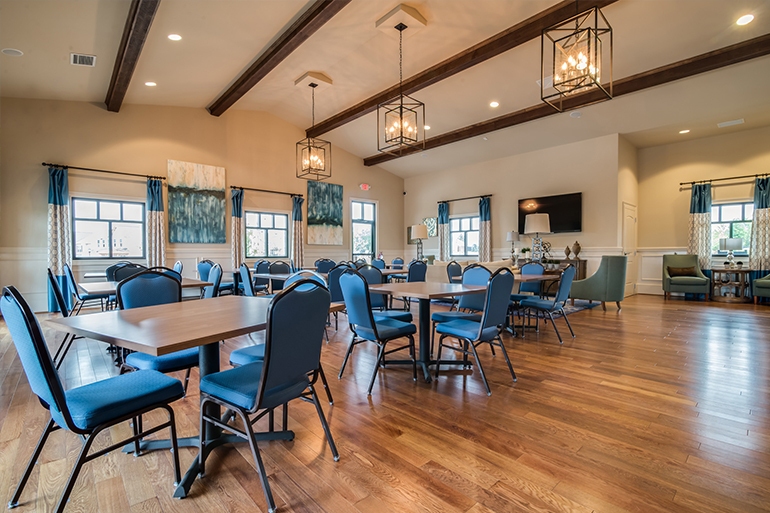 The Meadows Collection features low-maintenance ranch-style floor plans with fully sodded maintained lawns in a wooded setting, geared towards active adults. The Meadows Collection ranges from two – four bedrooms and two – three bathrooms. Floor plans range from 1,686 square feet to 2,776 square feet. Lennar, the builder in Carolina Reserve, includes luxurious features in all of their homes such as hardwood flooring, granite countertops, and stainless steel appliances. All homes are Energy Star certified with energy efficient heating and cooling systems. The Enclave Collection showcases beautiful two-story homes in a variety of floor plans. The Enclave Collection ranges from three – five bedrooms with two – four bathrooms. Floor plans range from 2,205 square feet to 3,249 square feet. Resale homes are currently available in both collections. 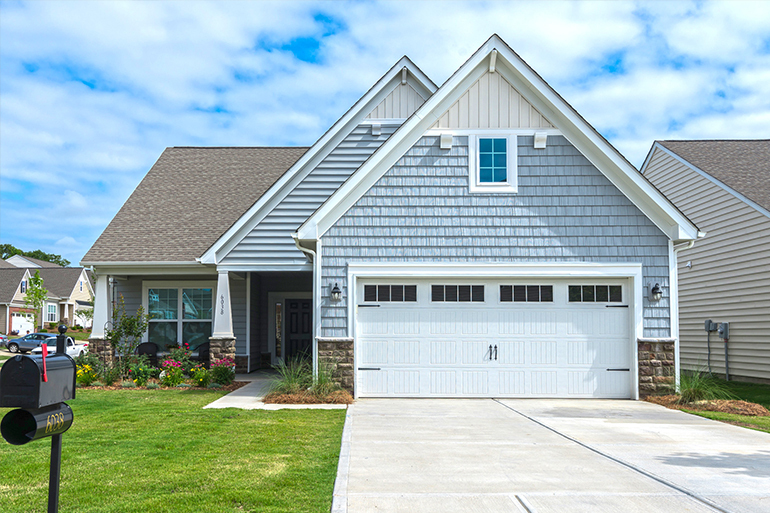 The Meadows features single family homes with open floor plans and lawn maintenance. There are eight floor plans to choose from, ranging from 1,686 – 2,776 square feet with two – four bedrooms, two – three full baths, and an attached two car garage. There is a loft option with each floorplan. The Enclave features two story single family homes designed with easy living in mind. There are nine floor plans to choose from, ranging from 2,205 – 3,249 square feet; with three – five bedrooms, two – four full baths, and an attached two car garage. 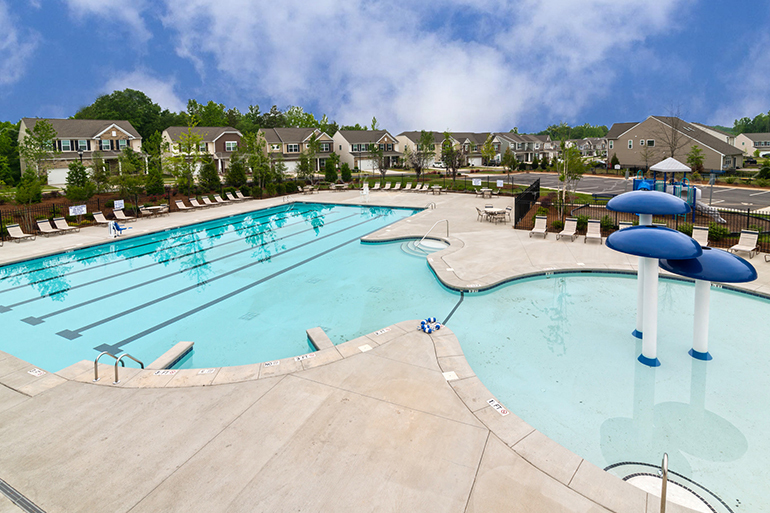 The amenities in Carolina Reserve are available to all residents. Are you interested in learning more about this community? Reid specializes in helping buyers and sellers in (insert community name). 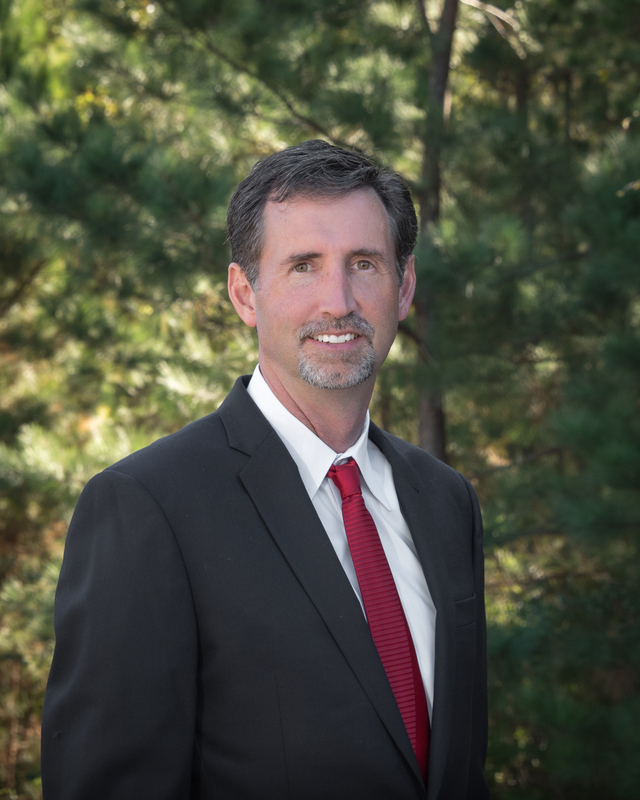 He can answer questions about the area and help you explore all of your options for active adult living.